We love feedback from our Userbase. 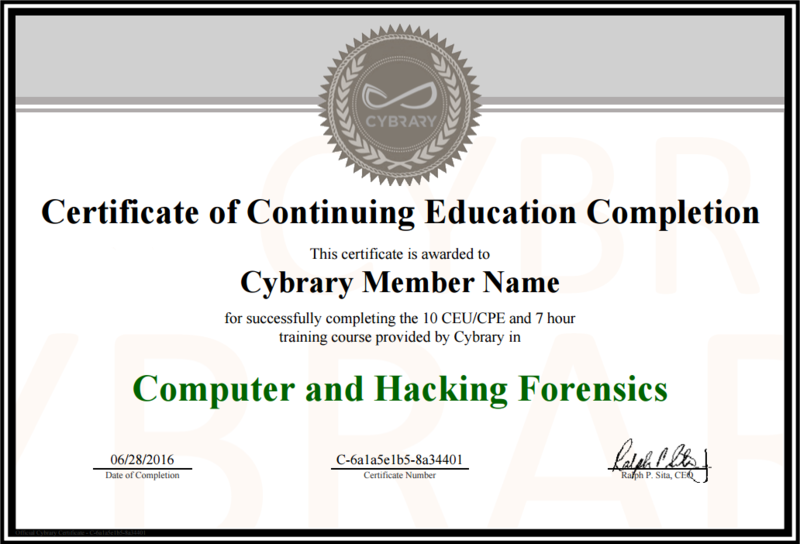 We have thousands of Users taking Cybrary classes on a daily basis and wanted to ensure that a Cybrary Certificate of Completion is a valuable measure of achievement. It should be something you’re proud to show your friends, family and employers. Upon 100% completion of a course on Cybrary, Users will continue to be able to use their Cybytes to purchase a Certificate of Completion. Many Users have also requested the ability to download their certificates; the new Certificates will now be available for download. Q: What will happen to my current Certificates of Completion? A: Navigate to your My Profile on Cybrary, click the Course Certificate of Completion link, and all of your current Certificates of Completion will be updated to the new look. The new Certificates will show a unique Certificate Number. You’ll now be available to download your new Cybrary Certificate of Completion. Q: How do I get my name on the Certificate of Completion? A: Users can edit their profiles and change the name they wish to have on the Certificate of Completion using the “Real Name” field. Q: Where does my employer/teacher verify Certificate Numbers? A: Employers/teachers can go to www.cybrary.it/verify-certificate and enter in the unique Certificate Number on the Certificate of Completion. Cybrary’s mission is to move the cyber security industry forward by providing anyone, anywhere with free resources to learn and grow in the field. These new Certificates of Completion and the ability to verify the Certificate Number is essential for every User on the Cybrary platform.